Several years ago I made a cake with Diet 7up and egg whites (recipe here). It was a great guilt-free treat. I decided to try it with a different flavor of diet soda. 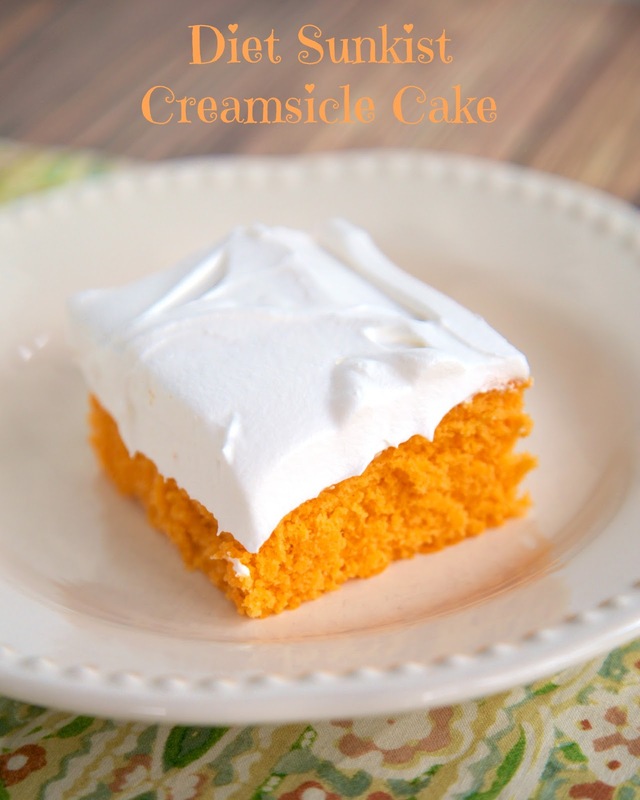 I am big creamsicle fan, so I used some Diet Sunkist in the cake. It turned out great! All the flavors and none of the guilt! This cake only has a few ingredients and comes together in a snap. I added a drop or two of orange food coloring to give the cake more orange color. This is 100% optional; I just wanted to make sure the cake had a good orange color. Whisk together cake mix, egg whites, Diet Sunkist and a couple of drops of orange food coloring. Pour cake into a greased 9x13 pan, and bake for 30 minutes. Cool cake completely and top with cool-whip. Do you think I could use diet ginger ale? I don't know what sunkist tastes like in comparison. I keep ginger ale in the house. 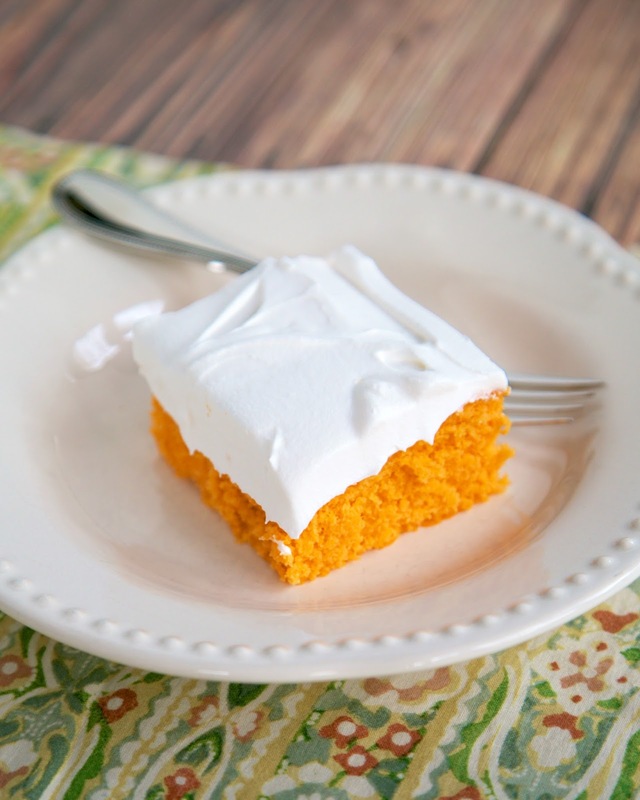 What do the egg whites add to the cake? I have made a very similar cake with just a cake mix and 12 oz of pop. In my experience, the egg whites make it a little fluffier. I opted to add 2 packets of orange sugar free kool aid instead of the food coloring. The batter tasted delicious! It's baking now. We shall see! Was wondering how many servings and calories per serving. Thx!